On your marks, get set, Pride! Pride Month officially begins with the annual flag raising ceremony at Queen’s Park at 9AM on the first of June. What does this mean? With access to over 600,000 square feet of event space (that’s the size of almost 12 football fields) we have rounded up Toronto’s hottest chefs, savvy cooks and food entrepreneurs, competing to win your heart with the city’s best mac and cheese. Prizes for the best mac and cheese dish include “Best of Fest”, “Judge’s Choice” and “People’s Choice”. The Streetsville Founders’ Bread and Honey Festival is the largest and longest running festival in Mississauga and second only to the CNE in all of Ontario! The Muhtadi International Drumming Festival (MIDF), now in its 17th year, is a two day annual event that celebrates the drum, it’s presence in all cultures and its cultural relevance today in communities around the world. For 18 years the Artists’ Network’s Riverdale Art Walk has been featuring local artists in an outdoor festival. This year The Riverdale Art Walk was bigger and better than ever and featured over 180 established and emerging artists exhibiting painting, photography, mixed media, printmaking, drawing and sculpture. Free and open to the public, visitors, park goers and the community were able to experience art all in one area over two days. The perfect weather made it easy for thousands of visitors to discuss art with the artists and find that perfect piece or two to take home and make their own. Our Hidden Gardens & Private Spaces tour in Cabbagetown is celebrating its TENTH ANNIVERSARY on Sunday June 5, 2016. This tour has continued to draw people from all across the GTA and beyond. The attraction for many is not only the unique and charming gardens found here but also the historic streets, charming laneways, and Victorian architecture, from modest to grand. Car-free, participatory, Community Inspired celebration of everything local! The Wine & Spirit Festival is a national, three-day destination event showcasing the talents of the world’s most renowned wine, beer, cider & spirit producers along with chefs and culinary personalities. This year’s Festival is full of highlights including the Wine & Spirit School! These sessions are complimentary and included with your admission (first come first serve, seats are limited). The live Music Stage is right on the Lake and the “Introducing…” area showcases brand new products just hitting the market! From Toronto.com: The CHIN Picnic celebrates the diverse cultures of Toronto, with music, vendors, food and performances from local and international talent. Now in its 50th year, the CHIN Picnic is the largest free multicultural picnic in the world. The picnic features dance performances from the east, international cuisine, authentic cultural vendors, a kids zone, and more. 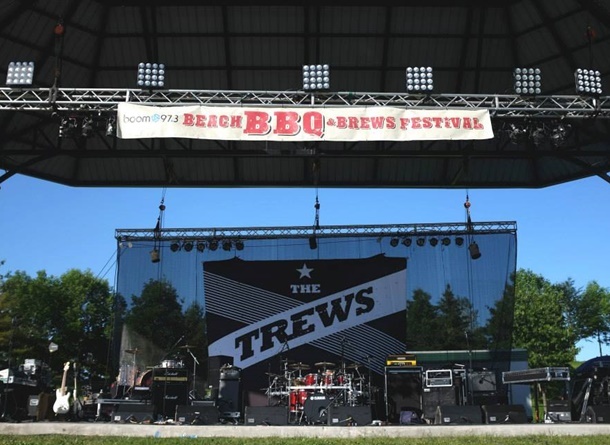 The boom 97.3 Beach BBQ & Brews Festival is an annual event taking place Father’s Day weekend at Woodbine Park! An incredible venue located at the “Beach” in the east end of Toronto it offers a unique atmosphere not found anywhere else in the city. Supported by the City of Toronto and buoyed by a large consumer base, this event is family friendly, active, and the place to be on Father’s Day Weekend! Celebrate DIY culture, urban interventions, and a love for art, design and music. A green powered event showcasing our neighbourhood’s passion for healthy lifestyles and love for fresh quality food. Day to Night enjoy family friendly shows and workshops, and taste the unique street food from our local businesses. Stay around for a special events, projection show and the bustling nightlife. June 18th- noon to midnight experience the magic allure of the West Toronto treasure-TheJunction! In 2016, as the Festival celebrates its 28th year, it promises to continue to be one of the most exciting summer events in Toronto. Once again this year, the Festival will welcome teams from all provinces across Canada, from the U.S., the Caribbean Islands, Europe and Asia. The TD Toronto Jazz Festival has become known as one of North America’s premier jazz festivals produced annually by Toronto Downtown Jazz, a Canadian registered charity (No. 12969 0269 RR0001). What began in 1987 as an eight day showcase of jazz now attracts in excess of 500,000 loyal patrons annually over 10 days. Attractions include more than 400 performances with over 2000 musicians performing at approximately 50 locations around Toronto. The heart of the Festival is now located at Nathan Phillips Square in the heart of downtown Toronto with an impressive 1,200 seat fully-licensed Mainstage Marquee and outdoor stage, and where many extraordinary events are offered free to the public.